Adventure Cycling’s Atlantic Coast route begins in Bar Harbor, Maine and continues south along the Atlantic coast for 2,670 miles through 12 other states, eventually ending in Key West, Florida. In Maine, the Atlantic Coast route begins in Bar Harbor and makes its way 250 miles down the coast to Kittery before entering New Hampshire. 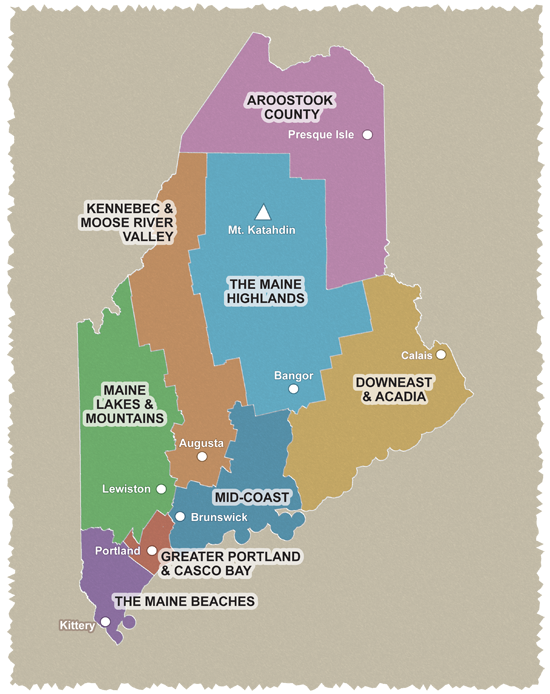 The route traverses Maine’s Downeast & Acadia, Mid-Coast, Greater Portland & Casco Bay, and Southern Coast regions. The route begins in the heart of Mount Desert Island, where you can bike in and around Acadia National Park. The route than heads south where you can explore Maine’s rugged coastline and spend time in several of Maine’s historic towns and cities including Camden, Rockport, Bath, Freeport, Kennebunk and Kittery. Maps of the entire Adventure Cycling Atlantic Coast route or just the section from Bar Harbor, Maine to Windsor Locks, Connecticut are available to purchase on Adventure Cycling’s website. These maps offer turn by turn directions, history, geology, climate, riding conditions and service information including bike shops, emergency services, lodging, camping, and libraries. To purchase a map, please visit www.adventurecycling.org or call 800-755-2453.